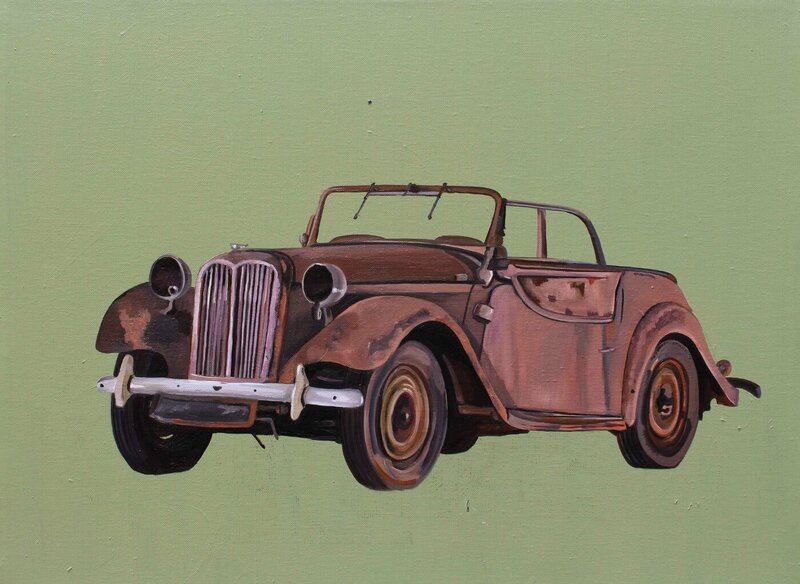 All of the artist works are some or the other way related to the importance of automobiles in our modern day life. From his teenage days, he used to feel that vehicles are a symbol of freedom, only to discover later they indeed are. This interest made him a keen observant of the intricacies about vehicles. He feels each vehicle has its own place in this world, and have contributed something to someone. He likes to capture other details like the scratches, alterations and modifications as if making a person’s portrait.